Family caregivers give so much and ask for so little in return. If there is a caregiver in your family, saying thank you for their time and dedication to your loved one is a kind and generous thing to do. How can you thank your family caregiver for the sacrifices they make? Consider lending a helping hand. Many family caregivers complain of feeling overwhelmed by all the responsibilities on their plate. Managing doctor appointments, medications, basic care needs, and household tasks takes a lot of time and patience; doing it day in and day out can really wear you down. Why not offer to step in for a day and allow your family caregiver to get away. A much needed break can allow your family caregiver to rest and recharge. If you live far away and can’t step in, consider respite care services. 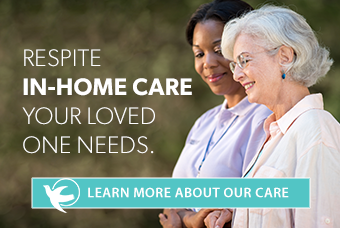 Our in home care services includes respite care for family caregivers. Respite care makes it possible for your family caregiver to get away for a few hours or a whole day. With our elder care professionals caring for your loved one, your family caregiver will have the peace of mind they need to focus on themselves for a change. If you can’t act as the caregiver, can you help by running errands? Offer to run to the grocery store or to be the point person who takes your loved one to doctor’s appointments. Any responsibilities you can take off your family caregiver’s plate will allow them time to recharge and approach their responsibilities with renewed focus. If you can’t be there to run the errands, send gas cards to make it easier to fill the tank. All the running around means your family caregiver spends a lot of time stopping to fill the car with gas. This small gesture can mean a lot. One of the greatest gifts you can give a family caregiver is to shorten the list of things they are responsible for. Why not hire a housekeeping service to help them around the house? Housekeeping chores are never ending and easily overlooked when someone is ill or in the hospital. There is a certain peace of mind that comes with knowing you don’t have to worry about these chores. Of course, one of the simplest and best ways you can help your family caregiver is to stay in touch. We all get lost in our own lives and responsibilities. Don’t forget to check in with your family caregiver to see how things are going. Provide them with an opportunity to vent frustrations or to simply talk about things other than caregiving. If being the family caregiver becomes overwhelming, consider senior home care services. Call your local Visiting Angels office and find out how we can help. From hourly respite care to 24/7 live-in care, our elder care providers can provide much needed assistance and support. We’re here to help!